Hey guys! Sorry my outfit posts and DIYs have been rather m.i.a. for a bit. I've been busy with classes and whatnot which has had me rather exhausted. I've got like, three projects coming up and then finals x_x Wish me luck! 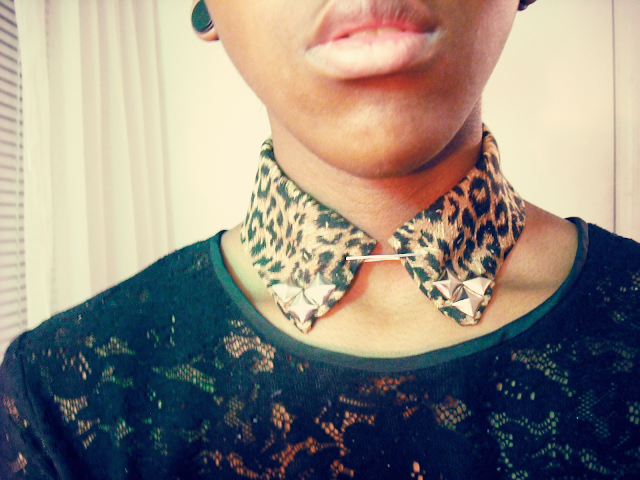 Anyway, I finished a DIY collar yesterday! The cheetah print material is the same as the material I made my maxi skirt out of from a few posts ago. The studs are from a belt I hardly ever wore. I felt a bit too lazy to add a neckpiece for the button, so I've got a large safety pin holding it together. 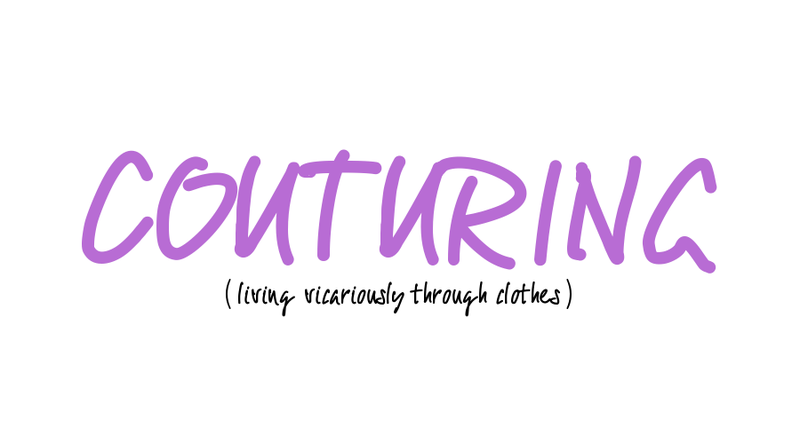 I wore this today with a white and gray bodycon dress, gray thigh high socks, ripped tights, and beige platform wedges. I also got a random white button down shirt today! It and two others had apparently been sitting in plastic at the back of one of my classes for maybe a week, so they became up for grabs (lucky me, lul). I'm going to either do a metallic studded collar like one of the collars in the giveaway I just closed, or I'm going to keep it as a regular white button down shirt. I'm not sure which I'd rather do. I think I'll do a different sort of collar--I'm too familiar with studs.